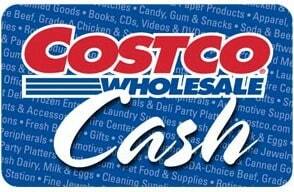 Four $50 Costco Gift Card Giveaway! CONTEST IS NOW CLOSED. THE WINNERS HAVE BEEN NOTIFIED, THANKS FOR PARTICIPATING. Happy Friday to you! Here’s a fun weekend giveaway for you brought to us by Verdi Olives. Verdi Olives is offering FOUR Picky Palate readers a gift card for $50. 3. Contest ends Sunday February 13th 8pm PST. Winner will be chosen by Random.org and will be notified by email. Nordicware Teacake and Candy Mold Giveaway! I like the stuffed salmon fillets. Their roasted chicken are the best! Love to buy one for the meal that night and one to pull apart for lunches and quick snacks. My favorite thing to buy at Costco is diapers – saves a few dollars! My favorite thing to buy is the chocolate covered almonds! We like the tilapia fillets. My favorite thing to buy at Costco is diapers. Saves tons of money since I have two little bums to change. Roast chicken – makes for a quick and easy dinner! I love their Kirkland Trail Mix! I love everything I buy at Costco. However, my absolute favorite thing to buy is pizza. They are yummy! I love their organic/free range eggs! They are less than $4 for 1.5 dozen. Quinoa– it is so much cheaper there! And I love their strawberry frozen yogurt bars too. came over from facebook! Love your recipes!! I love the 4 pound bag of frozen blueberries! What is not to love? They have the best “store-bought” guacamole. Throw some in freezer and always ready for a fiesta! I actually have never shopped at Costco, but want to so this would give me the motivation. I follow you on twitter (rwparker). I love to buy candy at Costco… ok and real food! I love to buy diapers at Costco! Wow, that’s really hard because Costco has so many great things! I really love their frozen onion soup. It’s frozen into single serving chubs, and you unwrap and microwave for a quick, DELICIOUS bowl of onion soup! I love the premade Chicken Alfredo. My hubby will stop and pick one up for dinner on his way home from work. Its delish!!! I love everything at costco, but I love the filet. I’m so boring. I like to buy canned tomatoes and steak at Costco. Well, that and liquor! I “like” you on FaceBook! And I have shared your FB page with friends! Diapers, and pineapple. Somehow the pineapple is always good!